This is the Aurista top of the line money clip. 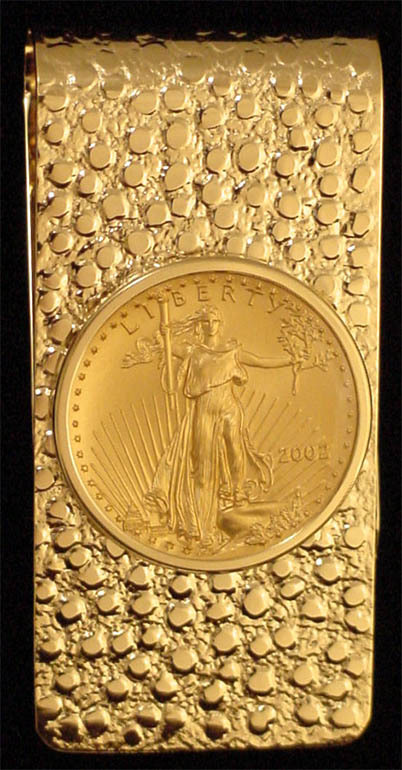 A genuine US $10 Gold Eagle coin containing one-quarter troy ounce of pure gold, (8.5g 22K,) is set in a 14K solid gold money clip frame of traditional design, weighing 16 grams. The front of the clip has a textured "nugget" finish while the back is mirror polished. Initials or 3 lines of text can be engraved on the back. LensCote protection available to protect the coin into the next millennium. This is the Aurista top of the line money clip. 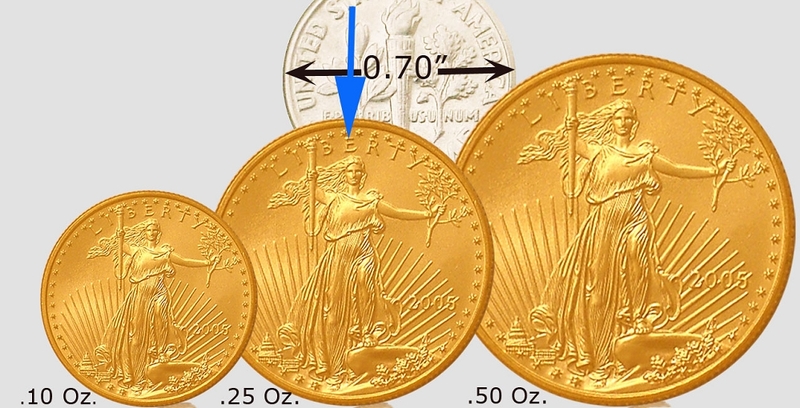 Gold American Eagles are one of the worlds most popular bullion coins. 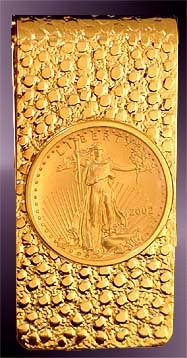 A genuine US $10 Gold Eagle coin containing one-quarter troy ounce of pure gold is set in a 14K solid gold money clip of traditional French fold design, weighing 16.0 grams. The front of the clip has a textured "nugget" finish while the back is mirror polished. Initials or 3 lines of text can be engraved on the back. The coin has a diameter of 22mm. Optional Aurista's exclusive LensCote polymer to protect the coin into the next millennium. Certificate of authenticity, unique numbered signet and lifetime warranty against defect.